Infrared Saunas can assist in the process of ridding the body of chemical toxins and heavy metals, increase oxygenation, enhance the immune system and reduces the radiation burden in the body. 1. Because Cancer cells are weaker than healthy cells they are more susceptible to the damage that heat can cause. Heating the body also known as Hyperthermia is a well-known method of killing cancer cells. 2. Toxins often activate the sympathetic nervous system and excessive activity of this system has been shown as a contributing factor in many cancer cases. 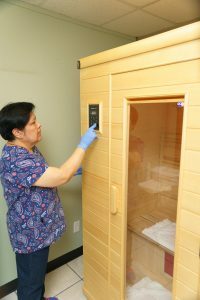 Therefore therapies, such as Infrared Sauna that inhibit the sympathetic nervous system are helpful for cancer recovery. 3. Saunas enhance circulation which helps to bring essential nutrients, hormones, oxygen, and other substances to the body. Since Cancer often occurs in tissues with poor circulation and oxygenation it makes sense why improving circulation would help in the healing process. 4. Increased circulation also causes the blood to move toward the surface of the body which helps to decongest the internal organs such as the liver, kidneys and other internal organs. 5. The heat that Saunas produce creates sweat which cleanses the skin from the inside out. Skin is a major eliminative organ and is important for oxygenation of the body. 6. Sauna Therapy is considered an oxygen therapy which is widely used by holistic physicians in the treatment of Cancer. 7. Saunas help remove lead, copper, mercury, arsenic, and cyanide and help to balance the body’s pH and excessively acid and alkaline body chemistries. 8. Infrared resonates at the frequency of water and increases the activity of water molecules in the cells. It reduces the specific gravity of water which allows it to penetrate cells better. 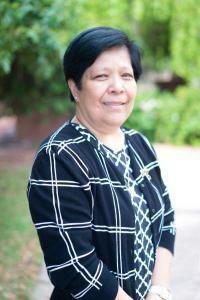 I have been in the medical field for over twelve years working in the Philippines, Saudi Arabia, and the USA. For the last eight years since becoming an MA, I have received advanced training in IV Therapy and specialized experience in multiple areas while working in the ER, ICU, operating room, PACU, Med Surg and Telemetry, as well as oncology.